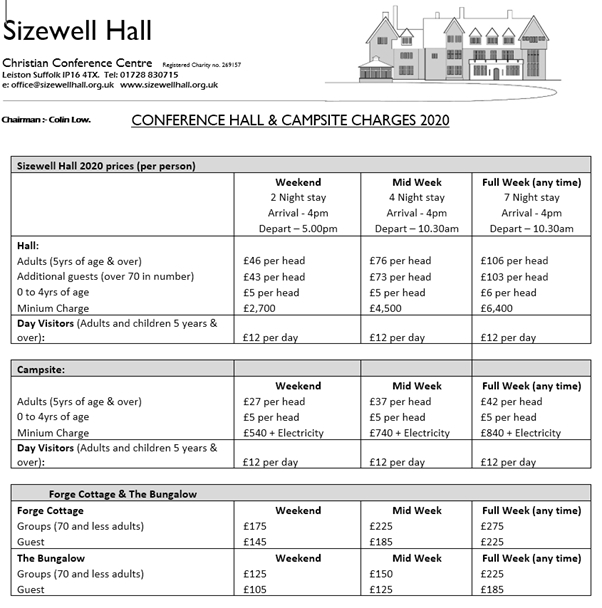 Remember Sizewell Hall is a self catering facility and our prices reflect this. Maximum number in each group is approximately 90. Booking forms are available from Sizewell Hall office. You can pay your deposit through our website on our donation page by clicking here. Please tell us what the payment is for when you pay online. Full payment is made at the end of your stay. Please view our Booking Conditions for important information click the link below for them.